Before you begin installing Envision engineered hardwood flooring the sub-floor must be dry, level and broom swept. The level tolerance is 1/8 + or - over 10'. This tolerance applies to nail down, floating and direct glue down applications. Installing hardwood flooring over uneven sub-floors can lead to excessive movement, squeaks and gapping between boards. Improperly installed flooring is not covered by warranty. To level a concrete sub-floor grind down high spots and pour self leveling concrete into the low areas. Use a straight edge as seen in this image to expose low and high spots. 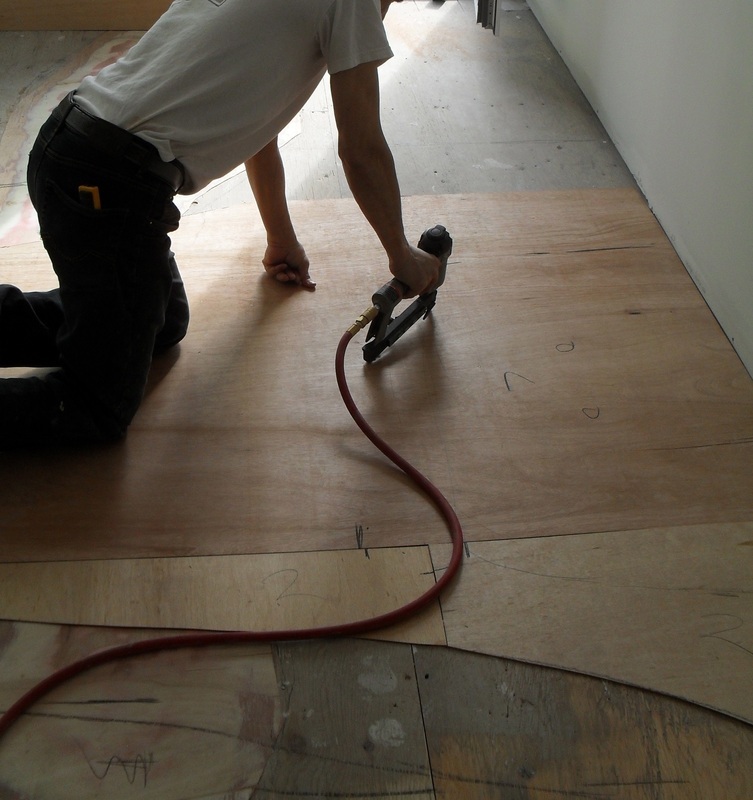 When leveling plywood sub-floors we recommend sanding down high spots and using various thicknesses of shimming material to fill in the low spots. The shimming material should be glued and stapled into place.